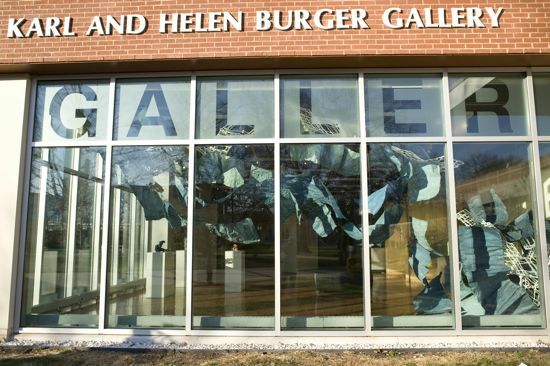 The show begins with a large-scale installation, Perspectives on Salinity: River from Within, which fills the expansive windows of the Karl and Helen Burger Gallery. This major work was originally exhibited at the Katonah Museum of Art in Katonah, New York, in celebration of the Hudson River. 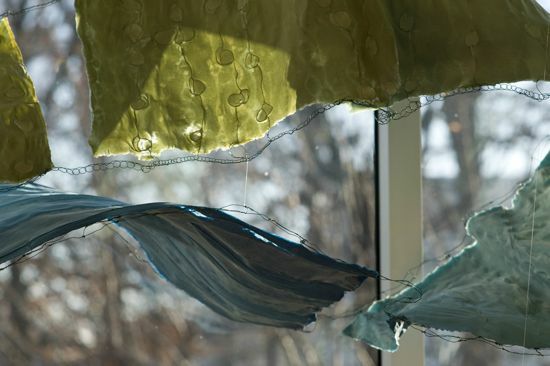 Cohen created her homage to the river by layering a series of large sheets of handmade abaca paper from the floor to the ceiling of the gallery. Each sheet is pigmented in the actual tones of the river as observed by Cohen, from translucent celadon to deep opaque slate. The surface of each sheet bears the mark of the artist and her observations. 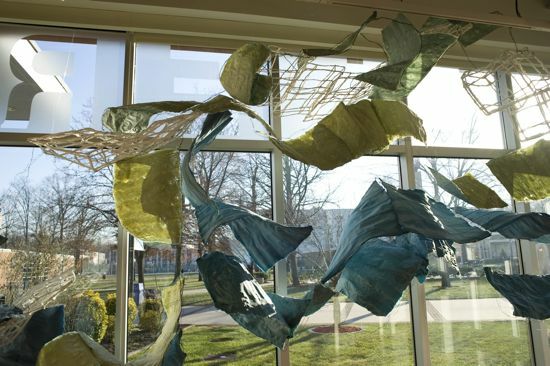 Woven wire embedded in the paper recreates ripples of the water, as watermarks of the same shapes trace the passing current. Sheets of paper closer to the ground represent deeper waters, and their surfaces are encrusted with layers of crystallized salt. Lines of crocheted wire and monofilament hold the pieces together, referencing the delicate balance of salinity in the river. 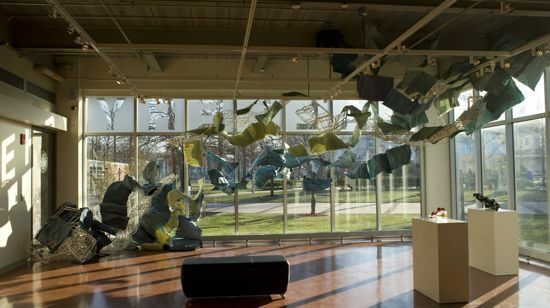 Suspended in the air, the pieces appear to be in motion, like the continuously moving river. Natural light flooding in from the gallery windows seeps through the installation, much as light filters through water, illuminating life below the surface. 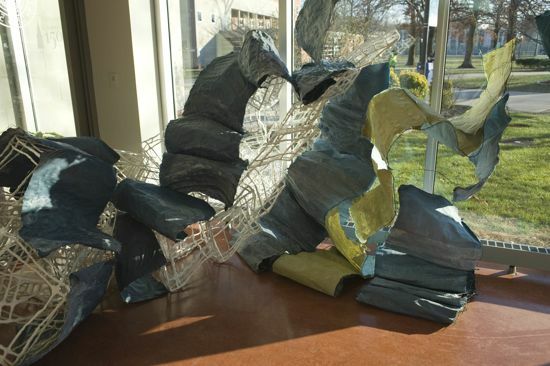 Cohen's installation captures the life of the river, but it is also highly symbolic of human life. Beneath the surface of the river is an ecosystem of interacting organisms and physical elements on which the river's survival depends. In the same way, the human body is dependent on the functioning of a complex set of organs and systems. In both a body of water and the human body, these components must work together in order for life to be sustained. 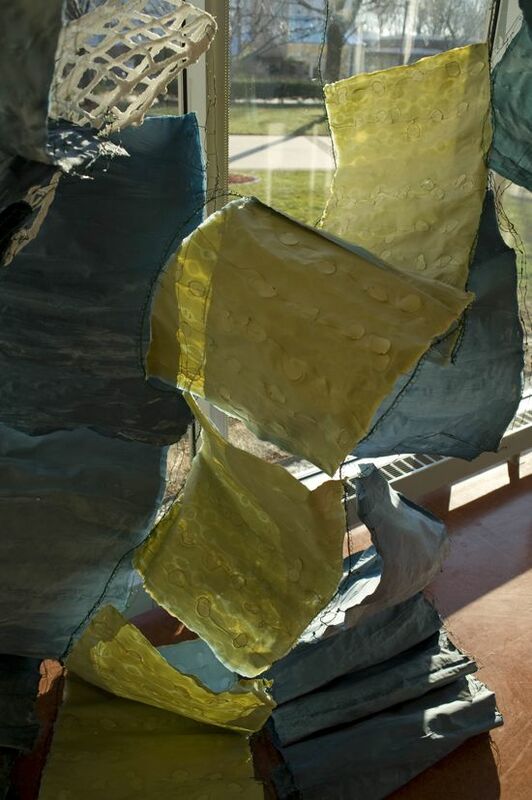 There is both strength and vulnerability involved in maintaining this delicate balance, and, in creating her artwork, Cohen selects materials that demonstrate this tension. From the exhibition catalog essay Beneath the Surface, by Kelly Murphy.